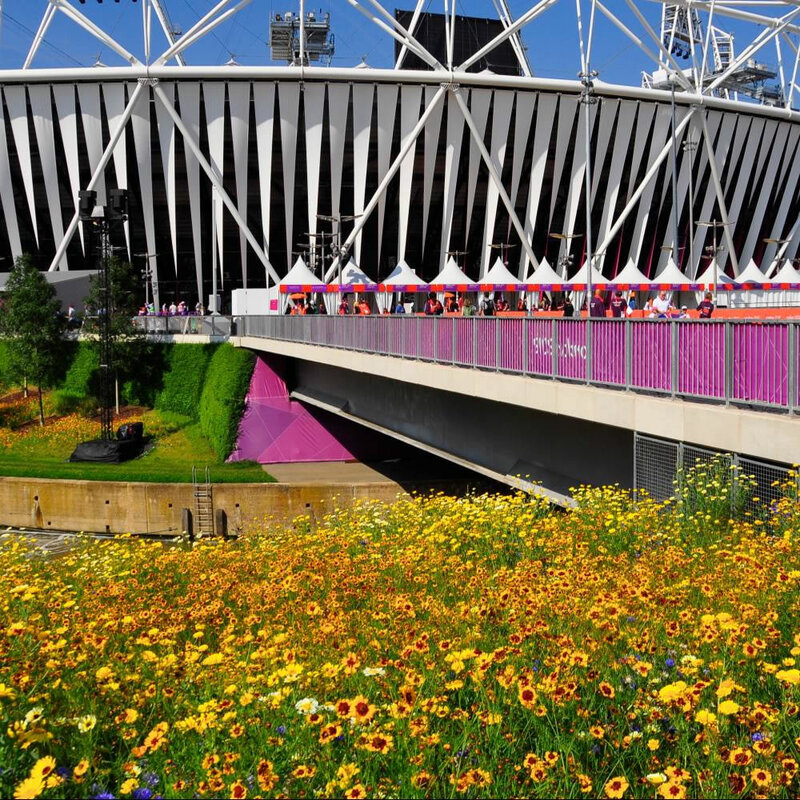 Created for the London Olympics in 2012, the Olympic Park is a stunning example of how to create a visually exciting landscape by taking its inspiration from nature. 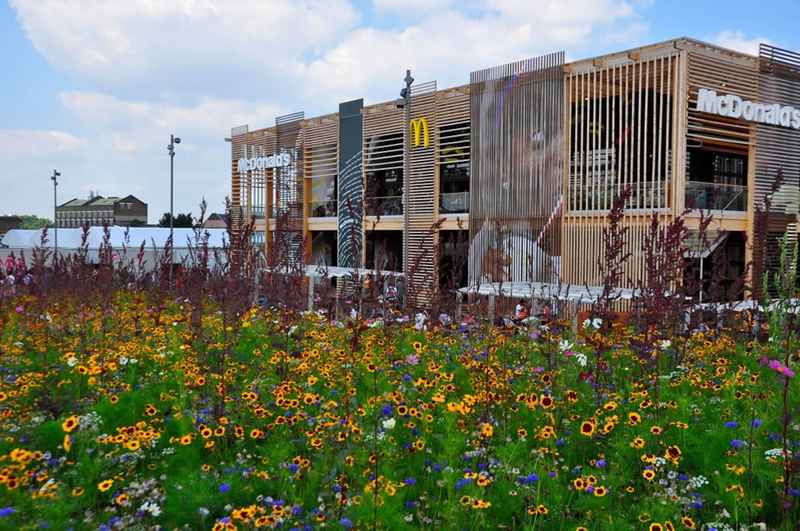 The displays were designed to peak at the time the games would be attracting visitors from all over the world and then to mature into landscapes which would continue to develop and create the legacy of the Olympic Park for future generations to enjoy. In all aspects the project has been a huge success and Pictorial Meadows are very proud to have played a part in its creation. 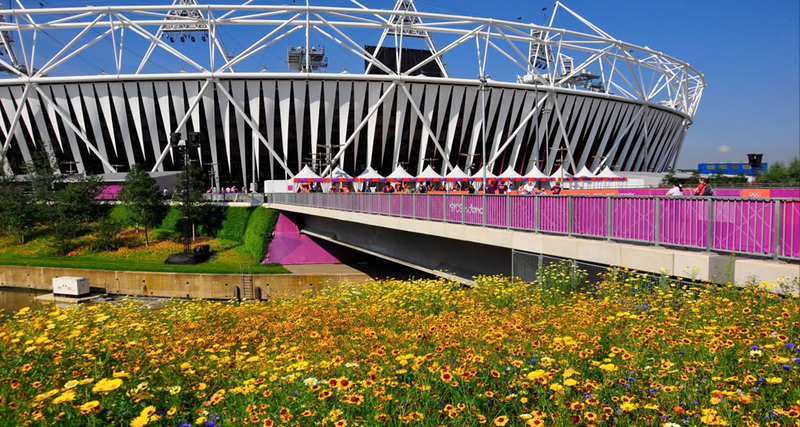 The Olympic Park was created from 250 acres of former industrial land in Stratford, East London as the main centre of attraction for the 2012 Olympic Games. The project was notable in that it made the Park the first to be developed in the UK for 150 years. The master plan for the park was developed by a consortium of LDA Design and Hargreaves Associates together with Professors James Hitchmough and Nigel Dunnett. James and Nigel were appointed as the principal horticultural and planting design consultants and from 2008 have been involved in shaping the striking meadow landscapes which were such a feature of the site. 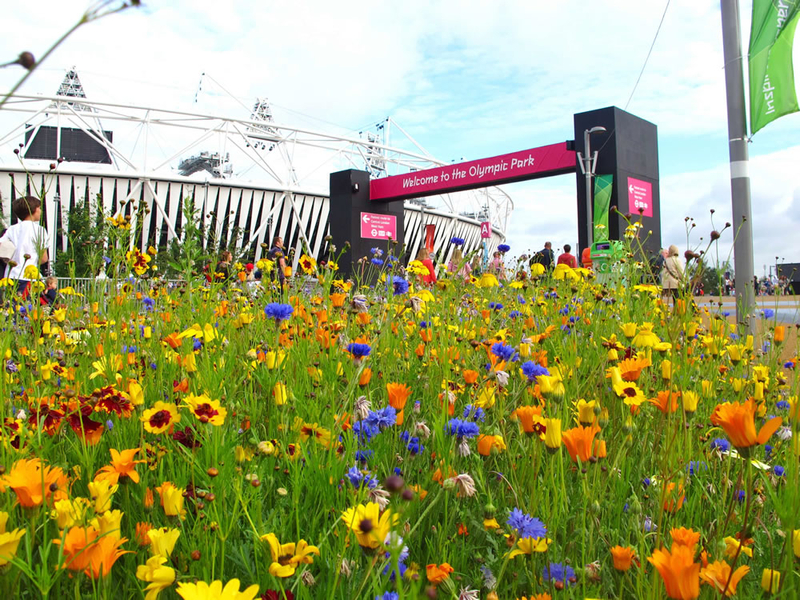 The concept of using large-scale sown meadows using the same principles that had been used to great effect on the cleared sites in Sheffield was applied to the Olympic Park with great effect.